“PLEASE” – CLICK HERE TO LISTEN/BUY NOW! 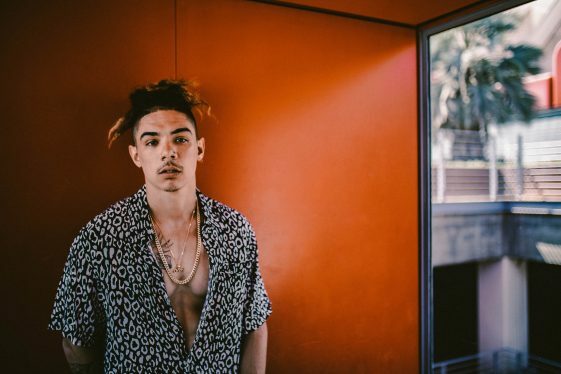 [New York- November 2, 2018] Australian born, singer/songwriter/producer William Singe returns with a brand new track and video “Please” available now everywhere – CLICK HERE to watch/listen. “Please” was co-written and co-produced by Grammy award-winning producer/writer team The Monsters & the Strangerz, who has worked with Maroon 5, Zedd, Rihanna, Selena Gomez, Kanye West, and more. Most recently, William was featured on Jonas Blue’s international smash hit single “Mama,” which boasts over 1 billion worldwide streams, inclusive of the YouTube video, which has been viewed over 489 million times. “Mama” was certified triple platinum in Australia, double platinum in Belgium, Italy, Sweden, platinum in the UK, Canada, France, Germany, New Zealand and Spain, and was certified gold in the U.S. Click here to watch the video for “Mama” starring Singe. “Rush,” Singe’s debut single for RCA released last year, ignited his very active fan base that he developed from posting viral videos in his bedroom, showcasing his stunning falsetto and smoldering vocals. Singe enjoys over 3 million Facebook followers, 444 million YouTube views, with over 2.4 million subscribed YouTube followers, and clocks in over 172 million streams on Spotify. His single “Rush” released last year accumulated over 21 million streams worldwide, with over 11 million + views on YouTube of the “Rush” official video.